Where to Buy SA-20 Disinfectant, SA-20 Greenhouse Disinfectant Algaecide Fungicide - Gal - $32.95 for Sale with Fast Free Shipping! 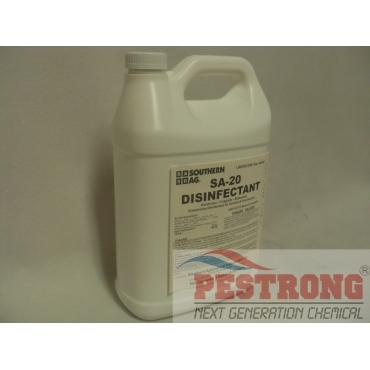 SA-20 Greenhouse Disinfectant Algaecide Fungicide - Gal can be used as greenhouses solution. Cleary 3336F Flowable Fungicide - Qt - 2.5..
SA-20 Greenhouse Disinfectant Algaecide Fungicide is an Algaecide-Deodorizer-fungicide-mildewstat-Disinfect greenhouses, pots & tools. Use on ornamentals including orchids. Controls toadstools and other fungi in the lawn. Other Ornamental Usage: 1- 1.5 tsp. per gal. This kills algae extremely well. it also gets rid of some nasty smells. it works great and i can only find the gallon size of this here!